Alan Melton, the founder of Empire Business Brokers, LLC was the recipient of the coveted Sterling Governor’s Award for organizational performance excellence; joining a distinguished list of large recipients such as Merrill Lynch, the Ritz-Carlton, and Honeywell. 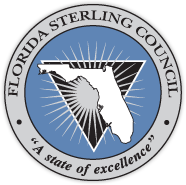 The Governor’s Sterling Award and the Sterling Management Model are based on the National Malcolm Baldrige Criteria for Performance Excellence. Strategic planning: How the organization establishes and plans to implement strategic directions. Customer and market focus: How the organization builds and maintains strong, lasting relationships with customers. Human resource focus: How the organization empowers and involves its workforce. Process management: How the organization designs, manages and improves key processes. Business/organizational performance results: How the organization performs in terms of customer satisfaction, finances, human resources, supplier and partner performance, operations, governance and social responsibility, and how the organization compares to its competitors. Our award-winning organizational performance excellence systems are utilized with all Exit Planning and Coaching Clients.